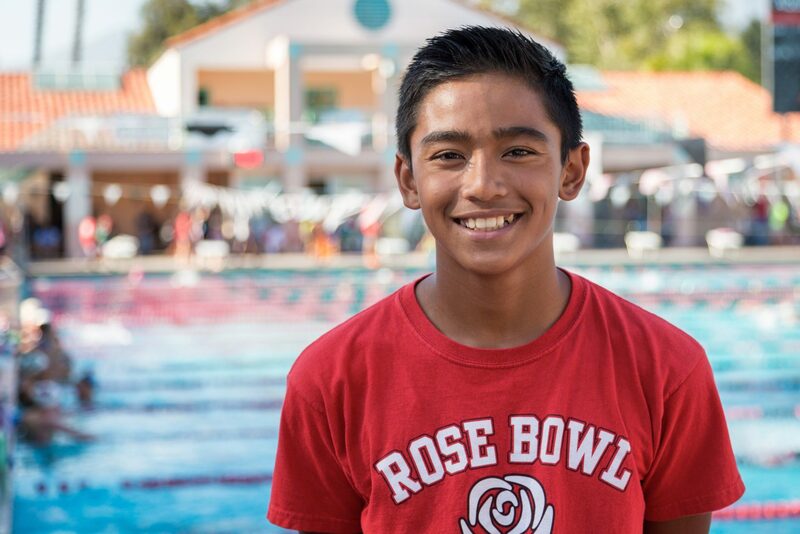 Age group phenom Ronald Dalmacio was no joke at the Rose Bowl Aquatics April Fool’s Intrasquad. At 12 years of age, Dalmacio became the youngest swimmer to ever break 1:00 in the long course 100 meter back, taking down the 11-12 National Age Group Record with a blistering 59.98. That shaved over 3 tenths off the former NAG Record, which stood as a 1:00.33 done by Vinny Marciano in 2014. Dalmacio broke onto the scene in 2015 when he started breaking NAG Records as a 10 year old. He currently holds 6 NAG Records (50y back, 100y back, 100y IM, 50m back, 100m back, 200m IM) in the 10 & under age group, and 4 NAG Records (50y back, 100y back, 50mback, 100m back) in the 11-12 age group. In addition to the 100 back, Dalmacio competed in the 50 meter back at the meet, which he won in 28.30. He already holds the 11-12 NAG Record in that even with his 27.88 from last season. He also swam the 50 free (25.40) and 50 fly (28.49), winning each of those races handily and setting new personal best times. 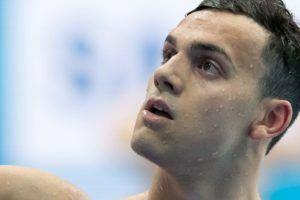 He’s within striking distance of Michael Andrew‘s NAG Record in the 50 free, which stands at a 25.09 from 2012. Dalmacio is now the 2nd fastest 11-12 swimmer in history in that event, surpassing Winn Aung‘s 25.42. « Who’s Training Whom in Loughborough National Title Onslaught? Not quite sure if it’s youngest ever ever (ie. in the world) or youngest American? 59 as 12 yo though, probably world’s. 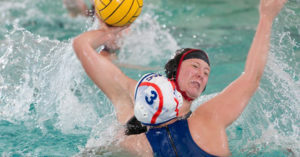 I think big part of the reason the youngsters are breaking age records more frequently is the fact they are much better than those kids 10-20 years ago in mastering the fifth stroke: start, turns and underwater. Just imagine the sorts of times a 13-14 yo Mary T. or Kriztina had they swum with modern start, turn and underwater. Oh, and the tech suits. Mary T. Would’ve been under 2:00 if she was swimming now. True true true. Just watched that 2:05.96 race. She had no goggles and came up at the flags every single turn. I think it’s kind of fun to play what if, but you have to let the legends of their time be legends and let the new up and comers also be the best. There will always be innovation, be it in suits, starting blocks, training methods, nutrition, etc. Champions always find a way to get to the top. Comparing across eras takes away from the accomplishments of the past and present. And Mark Spitz would be 48 in the 100 fly, Don Schollander would be 1:40 in the 200 free, Dawn Fraser would have been 50.9 in the 100 free., etc etc. Fun to speculate, but legends are legends because they made the most of what was available at the time they competed. Dawn Fraser did an open turn in 1964 and swam a 59, 100 meter freestyle. The Aussie movie about her life Dawn claim she was discovered by her coach in an salt water pool nearly beating one of the boys showing off how fast she was. I bet Mary T would be slower today and on par with the rest of the women’s US 200 flyers. Her stroke would be different. 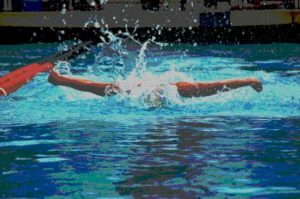 All the kids these days are trying to dip their chest 18 inches underwater and cutting off the momentum of their arms on recovery and skimming them just over the surface rather than flinging them out the back and letting them relax on recovery.